類型：視像語言：英文分類：雜誌式，新聞NewsCurrent Affairs狀態：播放中 節目簡介： RTHK's English-language current affairs programme that takes "The Pulse" of Hong Kong ... and the world around it. "The Pulse" is presented by locally and internationally known journalist and writer Steve Vines. Its focus? The latest events and trends that affect Hong Kong - from the corridors of power and business boardrooms, to the streets and dai pai dongs. "The Pulse" is politics. What's happening in the Legislative Council and on the streets right now. "The Pulse" is the media, informing us how well or badly our press and broadcast organisations diagnose and reflect the society around us. "The Pulse" is insightful, in-depth reports and interviews on current issues - examining those issues in depth, looking behind and beyond the news. Its focus is on the timely. The Now. Keep your eye ... and your finger ... on "The Pulse". 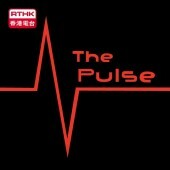 If you want to discuss anything you've seen in "The Pulse", or anything in the public eye right now, or just to talk about the show, why not join in the debate on our Facebook page, RTHK's The Pulse. The programme is aired every Saturday on RTHK 31 & 31A at 18:00, and a repeat on Sundays at 06:30.